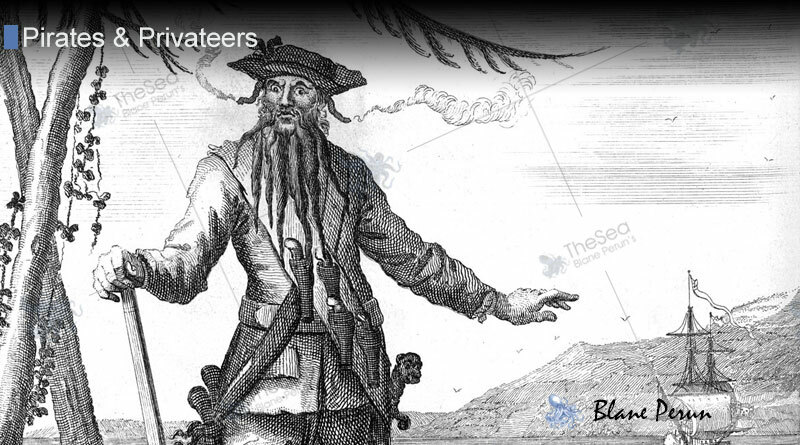 Edward Teach, known later worldwide as the famous pirate Blackbeard, was a pirate in the waters of the West Indies during the early 18th century. Modern historians do not know details of his life prior to piracy, but his activities between the years of 1716 and 1718 are well documented, in large part due to Blackbeard’s use of reputation and mythic imagery to achieve the results he desired without the use of bloodshed. He was almost certainly an educated man, with contemporary accounts demonstrating his reading and writing abilities, shrewd leadership and capably navigation skills. Edward Teach’s first reported acts of piracy came as the second-in-command of the famous pirate Benjamin Hornigold’s fleet. During this time, he was the commander of the second largest ship of the fleet and Hornigold’s main confidant. Once Hornigold was ousted from his position so that the pirates could freely attack the British ships that were previously forbidden to them, he took on the name of Blackbeard and began to construct a vicious image and reputation that allowed him to take ships at will, often without bloodshed, out of simple fear for his prowess and abilities. Once in control of his own fleet of three ships and nearly 150 pirates, Blackbeard began expanding his area of influence and raiding ships at will. By 1718, he had gained numerous guns, and extra ship and increased his crew to 250 men. He became the most famous pirate of the day, with descriptions of his formidable prowess and braided black beard making it into most news publications of the time. He was even stated to light his beard on fire when raiding vessels in order to increase the factor of intimidation for his enemies, often leading to bloodless encounters where opposing ships would simply surrender. Blackbeard’s fearsome reputation, in a way, led to his downfall. Rumors of Blackbeard’s presence in the waters surrounding Ocracoke Island off the shore of North Carolina led to a contingent of ships being dispatched for his capture. A ruse and clever ambush was set up and Blackbeard’s pirates were surprised by an attack of overwhelming force that stemmed from what they thought was a routine vessel capture. 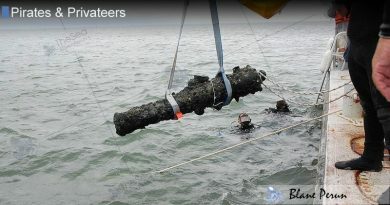 Blackbeard was killed in the ensuing battle and his pirate crew surrendered immediately after he fell. His legend, however, kept on living, making the charm of pirate tales to this day.